In a multi-verse where every world, magical and non-magical is linked, the King’s Witchfinder of Avalon used to lend aid and succor to those with magical power in worlds where it was forbidden. Then the king forbade it. And yet, Seraphim Ainsling, Duke of Darkwater, can’t help but try to help those who need him. Even at the risk of his own life. Read about more upcoming titles! I’m excited to announce that Goldport Press has been bringing out the Musketeer Mysteries, originally published by Prime Crime. 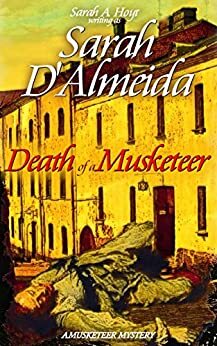 These books take Dumas’ Musketeers and give them a secret life as purveyors of justice in a dashing but merciless age. For the other Musketeer Mysteries and the order of the series, look here. Initially published by Ace/Berkley to raving reviews, this trilogy was a victim of its publishing date at the end of 2001. I’m not going to pretend it is my most representative series, though it is representative of my morbid fascination with Shakespeare and Tudor England. It is however a magical reconstruction of Shakespeare’s life, and very well received. Now out from Goldport Press in e-book. Soon to be available in trade paperback edition, in case you read your original copy to shreds as most people seem to have done. 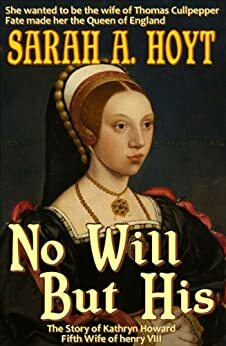 No Will But His, in a new edition by Goldport Press has been doing so well that I’m trying to figure out the time to write more of Henry VIII’s unfortunate queens. She was his Rose Without a thorn, he was Her Sovereign Lord. In any way this went, it couldn’t end well. Tom is a dragon shifter. He figures his life doesn’t need any other complications. 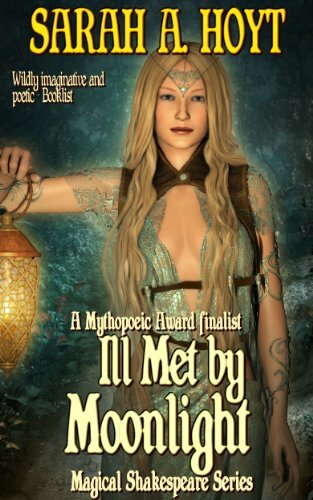 Life, unfortunately has other ideas… like making him head of all dragon shifters in the world… and an old Chinese dragon trying to arrange a marriage for him. 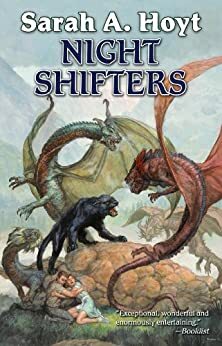 The third in my Shifter Series, from Baen books. Also, the most stunning cover I’ve EVER had. As a trivia note, the background is Lakeside Park in Denver, a favorite destination in Summer when my sons were little. Lucius Dante Maximillian Keeva thinks of himself as a monster, until he emerges from solitary confinement into a world far more monstrous than anything he could imagine, and finds himself becoming, against his best judgment, the protector of the weak and the oppressed. The Sequel to Darkship Thieves, where Athena discovers that home is the place you’ll fight for.